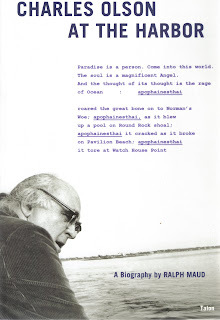 The cover of Ralph Maud's fine biographical account Charles Olson at the Harbor features an excerpt from Olson's poem "Maximus, at the Harbor" (pp. 240-1 of The Maximus Poems - the two pages of which are embedded below in two files). As Maud says, this poem has "at the back of it" Henry Corbin's "Cyclical Time in Mazdaism and Ismailism." Olson knew this essay from Man and Time: Papers from the Eranos Yearbooks. George Butterick provides the necessary citations from Corbin in his Guide to the Maximus Poems (pp 354-6). The sources are from pp. 161-167 in the section "Resurrection as the Horizon of the Time of 'Combat for the Angel' " (largely from the subsection "Archetypal Persons") and from the discussion of the Fravarti (131ff). Central to Olson's use of Corbin is the significatio passiva, the meaning of which Corbin elsewhere tells us he first discovered thanks to Luther. This is indeed a crucial notion for Corbin, and Olson has riveted himself to one of Corbin's most important ideas. The point is that the act embodies the mode of existence of the actor. Corbin says that from this perspective "every verb is mentally conjugated in the middle voice (e.g. the apophanesthai of the phenomenology which shows itself the phenomenon)... In this light...the person is what his action makes him be. But that implies that this person is an agent only in a superficial and metaphoric sense. More active than the person himself is the thought that is thought through him, the word that is spoken by him (and personified in him). [This of course recalls Heidegger's dictum that "Language speaks us."] And this thought of his thought is what Nasr Tusi calls the Angel of his thought (or of his word or action)." 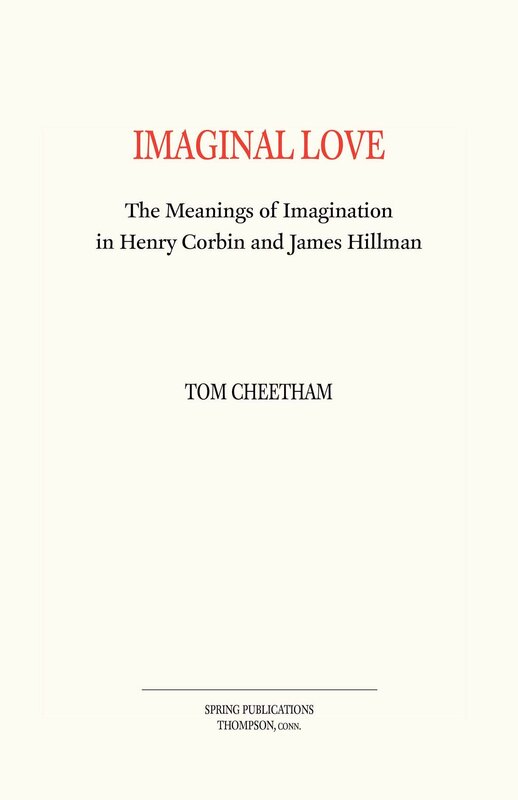 Now this is a fairly astonishing poem to begin with - but to those who know Corbin's work at all well it will be quite a shock, and I think rather a fascinating one, to experience the context of masculine sexuality and violence in which Olson places his borrowings from Corbin. Maud further complicates the issues in his epilogue by pointing out that Olson was later on to call this piece a "sucker poem" that relied too heavily on the subjective and the personal, but that he had nonetheless put it in very much on purpose and that it was not to be dismissed. Not a surprise if Olson thought that readers might mispercieve the attempt to transcend the subjective and misunderstand the references to the Angel. The issues raised here are deep, complex and I think, quite important. There is a tremendous and potentially creative friction here between Corbin and Olson, one which will I think amply repay our considerable attention. On this, one should also ponder "Mazdaism / has overcome / the world..." p. 518 in The Collected Poems of Charles Olson (which can be found in the text embedded below).